I'm a front-line performance manager for seven talented Gallup employees. Like so many of you, I strive every day to be a great manager for my team. Their engagement means everything to me and I have a critical impact on it, since Gallup finds that managers account for at least 70% of the variance in employee engagement. What I do every day, how I lead my team, has a direct and significant effect on how engaged my team is in their work. So you can understand my nervousness when I temporarily moved 5,000 miles away from my team's front line to Barcelona, Spain, for four months. I've managed remote team members before, so the challenges weren't entirely foreign. But not even the most fruitful Google searches and frank discussions with fellow managers could fully assuage my worries about me being the one working far from where my team resides. I was determined to not allow my location to negatively affect my team's emotional connection to their work. That meant altering my managerial logistics to control for time zone differences and ongoing culture clash, among other variables. The idea was to create a new cadence of management, accounting for the 12 essential elements of engaging my team -- from tending to employees' basic needs and expectations to focusing on their performance and their development -- that must be managed whether home or away. Plus, to do what was right for my own engagement, I had to take a fully integrative approach to working and living in my new home. 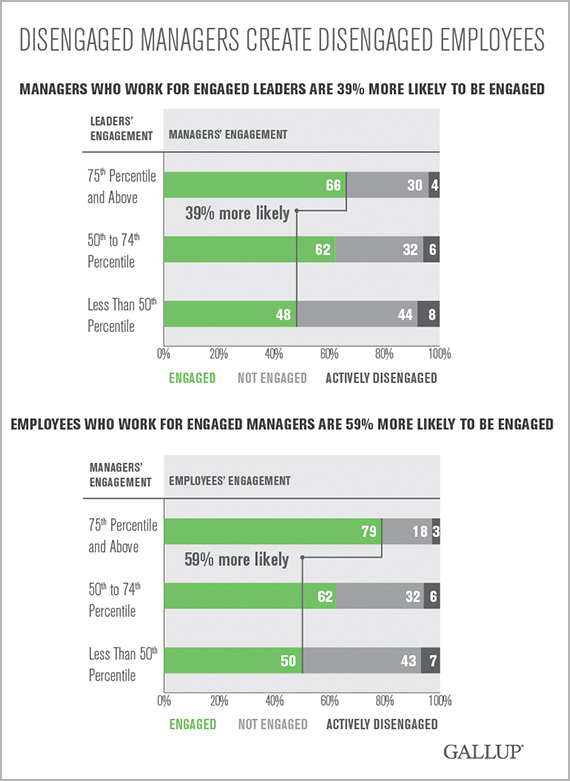 Anything less might risk having a negative impact on my team's engagement, since employees who work for engaged managers are more likely to be engaged themselves. I've been careful not to take for granted what's worked for me and my team before my move, including the daily chats I have with my team members. It's vital to reproduce those conversations. These are touch points that my team expects and appreciates from me, time we can talk about work or other issues. Disrupting these meetings could be costly, considering employees who can talk to their manager about nonwork-related items and ask questions are more engaged. We can still have these meetings despite the distance, thanks to all of the technological options at our disposal. But to effectively transcend the distance, I need to know from experience exactly how to best communicate with each team member. Managing remotely would be exponentially more difficult if I didn't know my team well, including how they prefer to interact and what they do best. Everything I do with my team, I do with their strengths -- and mine -- in mind. Those daily touch points are just one piece of a communication plan I craft weekly for each of my team members. I try to set an expectation for how I'm going to interact with each person I manage in ways that resonate and work best for them. Whether I'm at our apartment or working from a cafe, I have my team's Clifton StrengthsFinder reports handy at all times. I spend time reviewing their strengths and thinking about how best to manage to their talents while I'm away. I focus on strengths for a lot of reasons, but especially because employees who have a supervisor who focuses on their strengths or positive characteristics are more engaged. Selfishly, creating these communication plans helps me use and develop my own strengths. I draw so much energy from my daily interactions with people at home; I lead with relationship building strengths. But I don't know anyone in Barcelona. So, I've purposely applied my Maximizer and Achiever strengths when crafting my weekly communication plans. Making them the best they possibly can be and getting them done on time helps me prioritize my team members thousands of miles away. It's a change in my management style that I'm not sure I'd have discovered had it not been for my new location. But it's an example of a newfound self-awareness that I'll bring back with me, knowing it can help me improve my management style at home. Ahh, yes, home. My assignment in Spain ends in a few weeks. I'm confident I'll be able to use what I've learned while managing remotely to benefit my continued development as a manager. Being jolted out of my normal environment has made me more intentional about using my natural talents and learning new ways to lead. But I've learned firsthand that focusing intentionally on strengths isn't specific to where I'm working from or whether my team members themselves are the ones working remotely; the value of strengths-based management transcends location or proximity. And I also know I'm coming home with newfound ways and increased appreciation for managing the team members I've missed so much while I've been away. Anna Zelaya is Client Services Performance Team Lead at Gallup.